NEARLY 800,000 border crossings were made at Gongbei Checkpoint during the three-day Qing Ming Tomb-Sweeping holiday — 40,000 more than the same period last year. Dozens of indigenous villagers, including descendants from overseas, offered sacrifices to their ancestors last Tuesday at Nazhou Village, prestigious art master Gu Yuan’s hometown, and Guantang Village in Tangjiawan Town. In uniform costumes stating “Gu Yuan’s Home Village” on the back of each, the villagers carried 10 suckling pigs and other sacrifices having laid on a table in the Gu Ancestral Hall to pay homage to their ancestors at the graveyards, which had been cleared up days before. Some of the ancestral graves are 500 years old. Although the graves are dispersed in different hilltops, the sacrifices were carried to each grave for worship rites. Some worshippers came from Costa Rica or Australia and other countries and regions. Gu Genhe, chairman of the Costa Rica Chinese-Overseas Federation, was one of them and a major propellant of the ancestral worship. Gu Ancestral Hall has a history of 170 years. Ancestral worship resumed when the hall plaque was restored in June 2008 after having been suspended for nearly 60 years, according to Gu. Tomb-Sweeping Day when villagers gather from all over is one of the best ways to inherit the tradition and to pass it down from generation to generation, Gu noted. “Although the details of the ancestral offering process cannot count, we have the responsibility of preserving the tradition and carrying it on,” he said. Back at the ancestral hall, the villagers burned joss sticks for blessings and knelt down and bowed before the ancestral tablets led by the venerable aged. The offering ended with each household sharing the suckling pig meats. The ancestral hall, graves and pedigree of the Gu clan have been restored. An ancestral hall renovation commission has also been established to urge villagers to make donations for renovation of the hall. Guantang Village, 700 years old with the largest population and the vastest area in Tangjiawan, saw the same ancestral worship process at the Zhuo Ancestral Hall. In addition, The History of Guantang Village, a book revised for more than 10 years, had been published for the day. It took townsman Zhuo Bingquan and local townspeople 15 years to compile the book. Every villager should know its history and source and thus should be proud of it and carry it on, which is the biggest respect to the ancestors, he noted. The book casts light on the origin, evolution, folk customs, folktales and related information about the village. It is reportedly the second village history following The History of Tangjia Village revised in the 1980s. When the hand picked “official Village Industry” this book, ocean many hundreds of thousands of words and with as many as over 200 pages of color pictures history of the village, from the village of 700 years since the opening talk, serious research to gather in the village cultural traditions and customs, involving names, surnames, heritage, education, customs, resources, disasters, Chinese, war, anecdotes, anecdotes, from small to large, and from the pan into the deep, though Write a spare time meditation fine chemicals, But already addictive, praise the hardships pay off. As Zhuhai Hi-tech District Party Secretary Mr. Luo Xijiang the “order”: Let’s history as a mirror to sages is the norm, Passing the torch, to build a happy home! Zhuhai expect more local rural history available, Zhuhai, people expect to get more recognition!Zhuhai is my home, caring for you and me. Right to the editor卓炳teachers and members of the Editorial Board, Kwun Tong neighborhood, and the sessions are supported by the book release heartfelt tribute! ! !Special thanks to: often heard gift book. 1. Dr. Sun Yat Sen’s first wife came from this town. Kwun Tong is located in Zhuhai Tangjiawan town, because of its mountains (seven slopes) and the sea (Bay), there are seven stars on the potential, hence the saying “Seven ground.” After 1300 years ago, Tsai fishing village in this opening; a hundred years later, another Zhuoshi from Putian, Fujian moved to, because Cho’s second-generation ancestor as “strict concept of public”, whichever is homophonic, then named the “Seven places “as the Kwun Tong. Today, more than 2,400 villagers to Kwun Tong Zhuo, She surname based, but as a former small fishing village, “Dan Man” (also called “water wood”) is always like driftwood-like drift to, and if the tide receded So, Kwun Tong surname is particularly complex, the village’s “Family Names” on the stone, engraved in Kwun Tong live and work there are over 96 surnames. Ming and Qing dynasties population surge, due to population pressure, the Central Plains immigrants have migrated to the south, also fishing peasant villagers began Kwun Tong. Conversion mode of production has also brought cultural changes, more people began to settle and multiply in Kwun Tong, ancestral temples gradually beefing, clan culture had become the climate, such as “Cho’s big genealogy” is not only intact, but Continuation continued. On the concept of village office corridor, Kwun Tong, retired elementary school teacher 卓炳 right shows the three months he transcribed “Cho’s big genealogy ‘scroll, a total of more than 60 meters, amazing. Because adjacent to Macau, Kwun Tong have trend of the first early in the Qing Dynasty, many children of farmers on the new school, dispatches abroad, determined to industrial nation. Today’s official village has many built in the Early Republic of reinforced concrete structures bungalows, villas, built in the 1915’s rural councils, as well as residential wood blinds, several kilometers of Stone Street, is this class was learning there The epigenetic benefit Xiang Zi into a masterpiece. However, if asked how many Kwun Tong had a history of celebrity, the villagers would most likely include Sun Yat-sen’s first wife Lu Mu Chen, who will be mentioned a little insight famous modern bridge engineers, designers Zhuoguan Pei Guangzhou Haizhu Bridge. In the eighties, Kwun Tong, as was the party secretary of the village of hanging points, got a lot of benefits and support, such as the levy system when the land is zoned for “production and living space” in the village next to the village on discretionary much, Kwun Tong thereby adding to the potential for further development, has become the first town Tangjiawan billion village. Due to the direct benefit from the leadership’s concern, Kwun Tong cadres try to avoid total discredit the leadership of the face of things, including consciously get rid of “feudal superstition”, large and small shrine closed doors over the years, a few years ago spontaneously beefing village Patriarch (Hui Neng) Temple, cadres also secretly blocked. Zhuobing right to say, trying to “Zhuo’s big Genealogy” scroll fired tiles affixed to the wall, so that future generations the memory of their ancestors, brothers outside money is donated, but the village is not promised to show places. Kwun Tong Virgins Temple doorway couplet reads: “One path pines seasons Huayu, half booths coldest five nights of frost,” was beautiful, but why always with the bitter cold to kindness, warmth end not with earthly counterparts? The Zhuo surname is a descendant of the late Warring States Chu family. Birthplace and early migratory limited to the Central Plains. Han Dynasty, especially after the Northern and Southern, Central Plains Zhuo family because of the war, career, constantly migration southward. In recent years around the finishing genealogy ancestors ancient migrations, largely to find the root cause. Guangdong, Guangxi, Hainan, etc. Most Zhuo surname, descendants of the early years of migration Fujian Zhuo surname. Zhuhai Kwun Tong Zhuo surname is different from the the Zhuo surname Fujian lineage, the Kwun Tong Zhuo surname ancestors migration, with different historical backgrounds and ages, the route Henan Kaifeng – Zhejiang Zhuji – Nanxiong Abas Lane, – the Pearl River Delta (Guangzhou , Zhuhai), the Guangfu 族姓 southward with the Pearl River Delta, the majority of the Central Plains experienced the same. Originally, emphasis on ancient lineage genealogy, particularly as mayor. The Zhuhai officials Tong Village Zhuo surname is the Xihe prominent families, thousands of official Tong Estate Settlement population has emigrated overseas began in the seventeenth century, diaspora estimated Yu Wan. But the Kwun Tong Zhuo surname, since the Warring States after previous descent to the end of the Song describes, has no genetic. The existing Ming and Qing ancient genealogical records, this is because of the Southern Song Dynasty, avoid Bingxian books lost due to migration. Thus, cut the the Kwun Tong Zhuo surname from the Qin Dynasty to the descent of the Southern Song Dynasty records and movement history. Although the Ming and Qing Dynasties, Kwun Tong Zhuo family elite “ear in predecessors” – with the oral tradition of the elderly, rehabilitation genealogy. But to those “Shiyuan years submerged, not without missing slightly …”, “… I do not know a few World moved those who do not know a few people, the the name taboo World number Ke Deer details ……” (Note 1). Rebuilt genealogy can only be recorded after the end of the Song in the early Ming southward migration now Zhongshan Yongmo generations. “Bong (by: Kwun Tong, a generation ancestor father Zhuo Feng), Kaobi and on the generation ancestor Kaobi and the father of Kaobi of the branch, documented numerous check disorderly”, had “Que can also” (Note). Even these genealogies, and later rebuilt several times lost Yi. “Hing public across the river, carrying a spectrum century Zhao contained. Between Hong Cheng (: Ming Dynasty Chenghua, Hongzhi years ,1465-1505) in habitat Wu public lost Bingxian” (Note a). And “Xi was the orthodox yellow Kou Rebellion (by: 1448 Guangdong Huang Xiao Yang uprising), as I gray farmhouse flame, spectral Zhi Suiwang” (Note 1). Therefore, the Modern Kwun Tong Zhuo surname tribe only ancestors of mouth “by Abas Lane, moved to the vague concept of the source of the Patriarchs, the ancestors of the migration process, route and age, are not well understood. Recently, I have the opportunity to see volumes Zhuo surname Gupu, which included many Zhuo surname ancestors spectral sequence (early as to MingZhengDe, Kwun Tong VII Feasibility of bamboo at Baba 1509 written spectrum sequence). Peruse, I think: beginning descended from Zuzhuo Bong not Putian, Fujian Zhuo surname Zhuhai Kwun Tong Zhuo surname, the Kwun Tong Zhuo surname is not from Putian, Fujian moved, but was removed from the Jiangsu and Zhejiang to Abas Lane, emigrated by Abas Lane, Zhuhai. The existing Gupu Although not recorded in Kwun Tong, beginning Zuzhuo Bong before descent Directory, but spectral sequences, the of Kwun Tong Zhuo family history on account of migratory routes and migratory reason, it is very clear. So we go in search of the the Kwun Tong Zhuo surname sources today, the only reliable and very clear basis. Migratory era of the long time spans, in several resided ground presence multiply how many generations, and lineage List did not elaborate it. As long as our national development, migration in the history of social change, the change of dynasties and spectral sequence describes the control confirms, not hard Kwun Tong Zhuo family ancestors migration process, so they know the Kwun Tong Zhuo family sources. Below on this detail. Recently had the opportunity to see the scattered Gupu, including the transcript of the original copy of the recent transcript of 5 and 7. Indexed spectral sequence and description of a total of 10. 5 spectral sequence early migratory Kwun Tong Zhuo family briefly describes roughly the same content. Now choose a backing as explore. Kwun Tong Zhuo’s VII Feasibility of bamboo began repair progenitor Hing room spectrum Baba (1509) (the transcript of a copy of the Note a) a “another order”, which for some to clear account of: family background phase first Song Ju Henan Kaifeng Qi County, avoid gold difficult living in Zhuji County. Zhu avoid soldiers has also moved the Nanxiong sand into the water Abas Lane, the site of the housing market so far still the end of Song Yuan soldiers soldiers and civilians captured Kat Ganzhou, progenitor and involving wide everywhere so the tomb of today that the Department also home … since the early Hongwu this … concept family background since Song moved Guangdong, then in Qi in Zhuji, in Abas Lane, Home , I do not know a few world moved to those who do not know a few people … “. It can be seen, the Kwun Tong Zhuo surname and Abas Lane southward migration Guangfu surname family experience identical; originated from Fujian, Guangdong, Guangxi, Hainan around Zhuo surname. This article on Gupu a paragraph-by-paragraph control history to explore. I have in “of Zhuo surname origins doubt test, according to the late Warring States to Qin unified a turbulent history, combined with the history contained Zhuo family name initial activities infer Zhuo family early migration resides Henan, rather than simply divided into Anhui, Sichuan two. (See section IV of this paper, three paragraphs) it now appears, of this inference Gupu sequence in Kwun Tong Zhuo place of surname ancestors in Kaifeng of this record is consistent and will not go into. To the late Northern Song Dynasty, Song Dynasty steadily under the pressure of the northern invasion failed. Jingkang the first year (1126), Jin Jun breaking the seal, the following year the prisoners emblem, the Two Emperors. Song Shi southward migration, the establishment of the Southern Song Dynasty. This period triggered once the Central Plains to the south of Jiangsu, Zhejiang, and even across the Nanling immigrants. Many surnames genealogy records today and the Pearl River Delta, the ancestors gradually the Chengxiang Nan migration of immigrants (Note 2) of this period. Gupu records Kwun Tong Zhuo’s ancestors difficult to avoid gold moved Zhuji (Zhejiang), is clearly consistent with this history, it is reasonable. Relocated Zhuji Northern Song Dynasty the last Jingkang (1126), clearly. The the Yuan Dynasty predecessor of Mongolia in The Southern Song Duanping in the first year (1234) off the Golden State, the intensification of military operations of the Southern Song Dynasty, the Yuan army NaZheng war frequently. 1271 founding of the yuan. Gupu recorded in Kwun Tong Zhuo Ancestor refuge million soldiers southward migration Abas Lane, when this period of time. The relocated Abas Lane is not the passing, Gupu, essays sequence, Zhuo surname presence the Abas Lane “so far still the site of the housing market. Visible previous stays the Abas Lane. In this case, the same surname as the Pearl River Delta, many family Abas Lane, Yu Ling’s natural barrier the Nanxiong along the vast fertile ground, you can sacrifice the long corner. 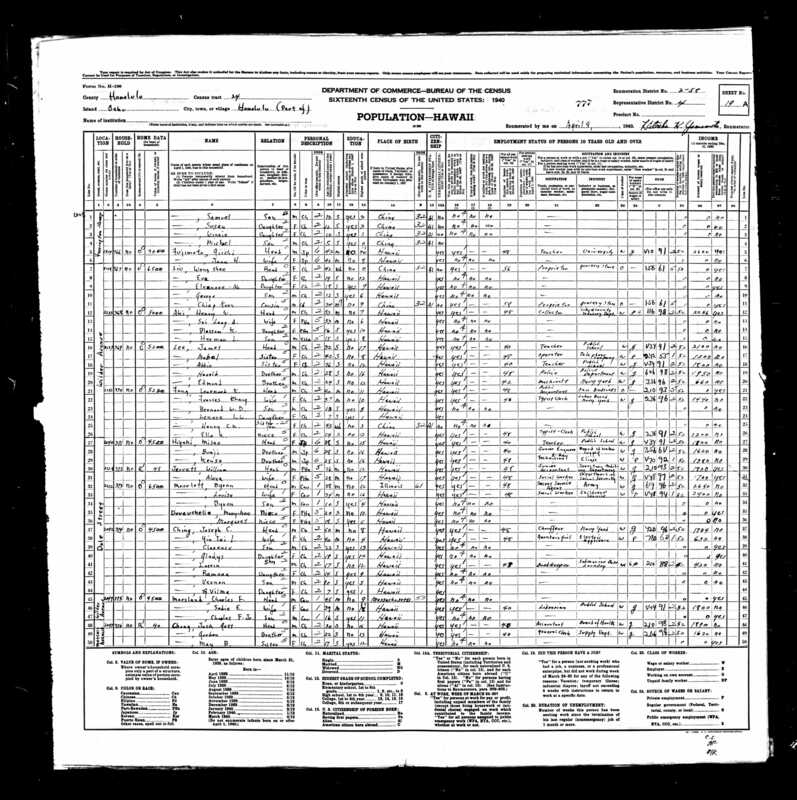 Again and southward migration due to war or other events generally have three to seven generations of residence interest-earning (Note 2). Kwun Tong Zhuo’s in Abas Lane, residence time, discussed in paragraph (6) points. History planted 1273-1278 years between two armies Song and Yuan Yu Lingnan North tug of war for seven years. Abas Lane by the scourge of war can imagine. In the meantime, in 1275, the Yuan army grams Jiangxi Zhu Jun, the same year to overcome Nanxiong. The This is Gupu documented historical facts million soldiers captured Kat Gan “. Kwun Tong Zhuo’s move out of the Abas Lane to reason and age of the Guang-cheng (by: Canton City refers to this in Guangzhou, other similar surname genealogy records, see Note 2). After, Kwun Tong Zhuo’s residence in Guangzhou there for some time (PRD other surname family resembles the case), so the tomb that its at one illustrates this everywhere ancestors repair spectrum year, Guangzhou Zhuo’s so tomb. Kwun Tong Zhuo’s residence in Guangzhou, how long can not be traced, but since the left so the tomb, I believe that the time is not short, and then migrated to the south Yongmo. Visible in Zhongshan Yongmo the time at least one or two generations of reproduction. Gupu this sentence refers sub Yongmo Zhuo Feng — Kwun Tong I Zuzhuo a wide moved Kwun Tong settle things. Directly above excerpt Abas Lane Gupu (1) to (6) above, with the historical control, you can clearly see, the Kwun Tong Zhuo family, Kaifeng (1126) – Zhuji moved in (before and after 1126) – ( close to 1271 period to move) – Guangzhou (about 1275 moved to) – Zhongshan Yongmo, during the lifetime of residence before Zhuo Feng (1386) – Zhuhai Kwun Tong (after 1386, that the early years of Hongwu move into) ” migratory process, Gupu, gave us a clear and complete account of. The experience of 200 years of migration process, you can use the historical corroboration of the nation, the state, and the Pearl River Delta immigration,, Gupu account of no doubt. In recent years, expert Abas Lane immigrants research has been quite in-depth, Zhuo surname is not seen in the literature. Abas Lane 157 immigrants surname Cho no surname. I would like to put forward the following two focus further research, for professional or interested parties. 1. Zhuhai Kwun Tong Zhuo surname ancestors had residency the Abas Lane, but did not leave a record. Have argued above, Kwun Tong Zhuo’s left Zhuji southward migration of Abas Lane about in the early Yuan Dynasty about 1271, and that in 1275 and move out of the Southern Song Dynasty Abas Lane seen in Abas Lane residence, not a long time. Although Gupu writing the preface to the 1509 Zhuo surname PRD Guangfu immigrants Abas Lane is still “the housing field sites, but previously lived several generations of different in Abas Lane a. Year Abas Lane household management, and even migration “text cited. But Zhuo surname residence time is short, the number of households small population, stimulated the war-torn years, the Abas Lane did not leave the residence and migration records also reasonable. I believe this is a long time, the research literature, records of of Abas Lane migration surname Zhuo no surname reasons. 2. The Kwun Tong Zhuo surname first Zuzhuo Feng was born in Guangdong. Before birth, Bong’s father, grandfather has already moved from Abas Lane Guangzhou – Zhongshan Yongmo. Gupu documented the Kwun Tong ancestors was Zhuo Fengsheng in Gengshen year ($ Nobusuke seven) of Died Bingyin years (19 Hongwu years), ie 1320-1386 years. 1275 family above argument since the after Abas Lane southward migration of about 45 years before they were born. This is important, said Mingzhuo Bong born in Guangzhou (and then moved to Yongmo after), Zhuo Feng fathers, even grandfathers, has long vacate the Abas Lane to Guangzhou or Yongmo. If we look carefully read Gupu eight generation descendant of the preamble of the year, also revealed traces of it. The preface in Speaking after a Yongmo Dongshan Zhuo Feng tombs mentioned “the mailer Kaobi last generation ancestor Kaobi … Fun investigation disorder” (Bong’s parents, grandparents, no traced) This “Que can “Can not describing it (Note 3). 1,2 above two points, in addition to prove from the migration routes of the migratory routes of the Kwun Tong Zhuo surname ancestors in Putian, Fujian Zhuo surname, the Kwun Tong began Zuzhuo Bong, not from Putian, Fujian. Also, from the migration years proved that a the the Kwun Tong Zhuo surname a Fujian Zhuo surname, along the different routes of movement during the same period. Putian, Fujian Zhuo surname, check a pulse, as early as in a time Yongxing (306) KWANG Ren Jinan prefect to Fujian, to Don Sadamoto thirteen years (797 years) spread XIII Zhuo hidden any Putian order to become Putian Zhuo surname ancestor. Multiply in Putian, continuous clear lineage List. Fujian Putian Zhuo surname rolling in Fujian in a millennium (306-1320). (1126 years ago) and the Kwun Tong Zhuo surname the ancestors Jingkang years still in Kaifeng, Henan, the Kwun Tong the beginning Zuzhuo Bong parent, grandparents around 1280 in Guangzhou – Zhongshan Yongmo,,, (Note: the the the Fujian Putian Zhuo surname ancestors moved to into Fujian the Kwun Tong Zhuo surname ancestors still in Kaifeng, after 300 years, the the Kwun Tong Zhuo surname ancestors began to migrate from Kaifeng, no path to residency to Fujian, removed to reach Zhuhai!) Obviously, the Kwun Tong Zhuo Feng a not one of the Fujian Putian Zhuo surname. At least a thousand years ago is just “one”. Tongzhi (1871) rebuilt three-generation ancestor Hing Kwun Tong Zhuo surname offshoot (Dongguan) spectrum, the early Republican transcripts of Xinwei. Adduction VII, Feasibility of bamboo preface. Note, Kwun Tong Zhuo’s seventeen generation descendant the Boshin years (1868) Continuation of the flood side room spectrum, which included eight generation descendant of the preface. Note, Daoguang of Jiachen years (1844), Dongguan Zhuo’s Run remaining hall spectrum of transcript spectral sequence. Family Search.org has a record of Chinese Geneologies. This is cool. Chang has a huge record from Joongsong. 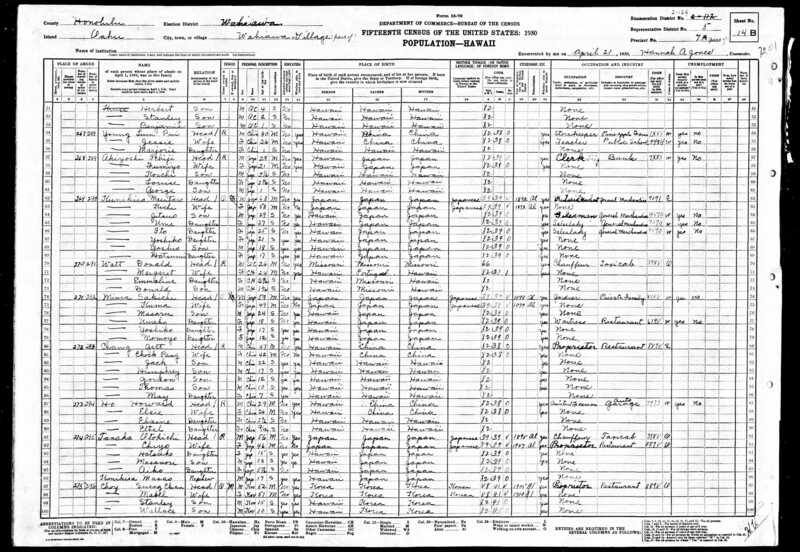 I found these census for Chang Ah Gett Family (my father’s Father). 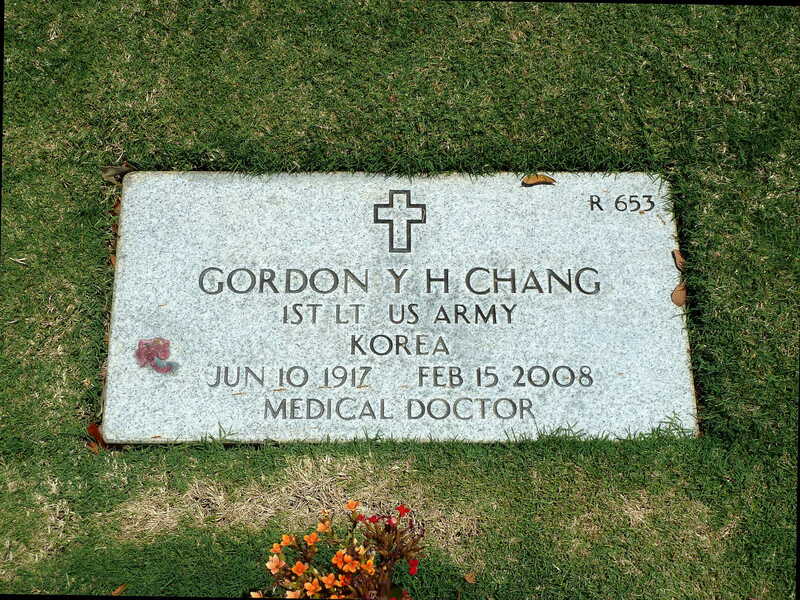 Gordon Y.H.Chang MD was my father. Here are some pics that I found on ancestry.com. 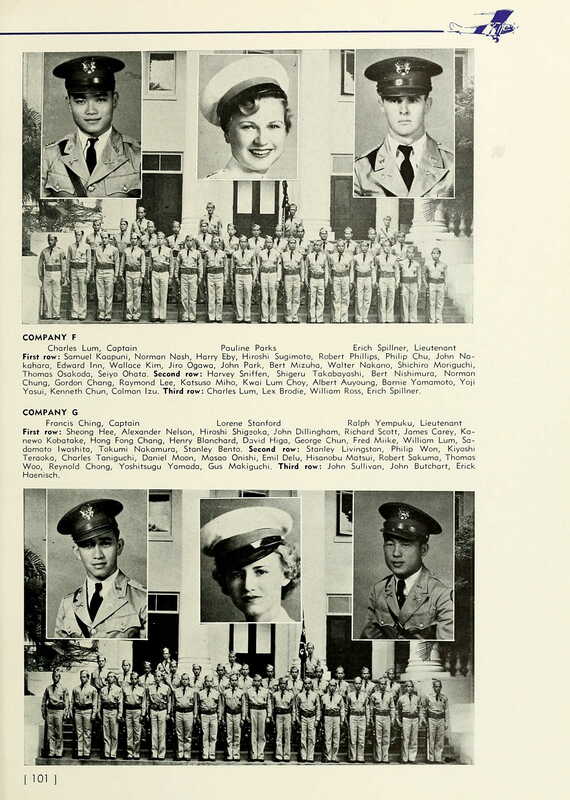 Here is a pic of him in 1936. Company F at the university of Hawaii. Links on our surname Chang and history with references. Chen, Zheng are other forms. The Zheng surname originated in Henan. In 806 BC King Xuan, the penultimate king of the Western Zhou Dynasty, enfeoffed his younger brother Prince You at Zheng (present-dayHua County, Shaanxi), who became posthumously known as Duke Huan of Zheng. Duke Huan was killed along with King You of Zhou when the Quanrong tribes sacked the Zhou capital Haojing in 771 BC. Duke Huan was succeeded by his son Duke Wu, who helped King Ping of Zhou establish the Eastern Zhou Dynasty in Luoyang, and his feudal state of Zheng was also moved east to present-day Henan. His descendants and many people of the state later adopted Zheng as their surname. Note that Zheng He’s real family name was called “Ma 马“, which was transliterated from his Arabic muslim surname “Mahmood“. You should know that Zheng He’s was a hui-chinese (muslim) with central asian roots. His ancestry could be traced to muslim aristoracy in central Asia. His 6-lineage ancester Sayyid Ajjal Shams al-Din Omar came to China from central Asia during Yuan dynasty, and he was descendant of the king Mohammed of Bukhara in central Asia (part of Khwarzem Shah Empire). Sayyid Adjjal Shams Al-Din Omar was conferred the title “Prince Xianyang 咸阳王” in Yunnan during Yuan dynasty. However, since they had sinicized for quite a long time, Zheng He also adopted Chinese surname “Zheng”. Zheng He’s descendants had today survived till the 21 generations (after Zhenghe). Some of the prominent descendents include Zheng Zhiqiang 郑自强 (19th generation descendants based in Nanjing today), Zheng Enliang 郑恩良 (based in Yunnan Jining 云南晋宁 who is already around 75 years old today), Zheng Qinying 郑琴英 (15th generation descendant based in Chiangmai, Thailand). 1. The offspring of Yunnan was propagated by the eldest son of Zheng Enlai (Zheng He’s adopted son). However, during late Qing period, due to persecution from Qing court, one portion of the family escaped to Thailand. At that time, the 17th generation descendent Zheng Songlin 郑松林 migrated with his family to Chiangmai in northern Thailand. Over there, he married the daughter of mayor Chiangmai. As time passed by, the descendants of Zheng Songlin no longer speak any Chinese. Neither do they know their origin. It was estimated that this offspring descendants of Zhenghe in Thailand had around 100-200 people. 2. The offspring in Nanjing originated from the propagation by the 2nd son of Zheng Enlai (Zheng He’s adopted son). Since Zheng He had lived in Nanjing for a long time, he also adopted two nephews, one stayed in Yunnan, the other came to Nanjing. Their descendants could all be Zheng He’s descendants. According to Zheng Zhiqiang 郑自强 (descendant of Zhenghe), Nanjing had an estimated descendants of 242 people. In Jiangsu province, there were around 200 descendents of Zheng He. 3. The descendants of Zhenghe at Yunnan are distributed around Yuxi city 玉溪市. They numbered around hundreds. These descendants of Zhenghe at Yunnan and Nanjing all had their own family genealogy records, as well as stone tablets with records of their ancestors. For instance, at the village of Longmen at Yuxi, there was a stone tablet called Jianlong Maqiao Muhua Ying 《建龙马桥募化引》, on it was inscribed the name “Zheng Pu 郑溥” (9th generation descendant of Zhenghe). Other stone tablets include Pimei Houxian《媲美后先》 in the Mosque of Dongyin in Yuxi city (玉溪市红塔区东营清真寺). It recorded descendants such as Zheng Juzheng 郑居正, Zheng Juguang 郑居广, Zheng Youfa 郑有法, Zheng Youcai 郑有才, 10th,11th generation descendants of Zheng He. Today, the descendants of Zhenghe, Zheng Yunzhang 郑云章 and Zheng Yunliang 郑云良, still lived in Dongyin region of Yuxi city in Yunnan. I found this post on asiawind.com by Chung Yoon-Ngan. I’d thought that I would repost it here. county is at 113.4 degree East and 34.8 degree North on the world map. of Zheng (鄭國) and he became the first ruler of Zheng. had a son who was named Bo Fu (伯服). 陜西省) to help Zhou King You to govern the country. queen and Bo Fu the new crown prince. Bao Si and Bo Fu were killed in the turmoil. States, including troops from the State of Zheng, to rescue the capital. capital to Chengzhou (成周 present day Luoyang 洛陽 city in Henan province). absorbed the State of Zheng. ruler of the State of Guo, to give up his domain in favour of Ji Juetu. so angry with Zhou King Ping that he threatened to attack the new capital. which was named the State of Beiguo (北虢國). and was incapable to defend itself. to the chronology of the State of Zheng (鄭國 806BC to 375BC)]. was originated from Ying Yang county. 船來帆往下西洋.—Chuan2 lai2 fan wang3 xia4 xi yang2. Eventually the treasure island of Taiwan was restored. The Ming patriot Koxinga developed it about fourteen scores years ago. Clearing bush land and building roads they laboured. Happily they live and cultivate this land. Hirato he married a Japanese girl who became the mother of Zheng Chenggong. the Fujian Governor, Zou Weilian . Chenggong the title of the Loyal Viscount (忠孝伯). captured by the Qing troops. He was brought back to Fuzhou and executed. day Gao Yao county 高要縣) in Guangdong province (廣東省). Zheng Zhilong went to Haicheng to deliver the letter to his elder brother. trying to reconquer the north. four Prefectures (郡) and twenty four counties (縣). of food for his troops. He waited for one month for the supplies to arrive. medicines from China. They exported sugar and deer skins to China and Japan. farm land as “King’s Field”. Therefore the farmers had to pay tax. Kang Xi (康熙皇帝 1662AD to 1722AD). had traded with the Dutch in Taiwan. of the Dutch in Tainan but also information about the geographical topography. from the bay of Liaoluo in Jinmen (金門島料羅灣) for the island of Taiwan. Zheng Chenggong built a temple dedicated to Mazu, the Goddess of Navigation. and gave the Dutch 8 conditions why they should give up fighting. after 294 years in existence. by Zheng Chenggong. The Dutch surrendered. Tian Fu” (承天府 present day the city of Tainan). of the Ming Dynasty. He established Ming judiciary systems and built schools. was increased by Zheng Chenggong’s 30,000 army and their dependents. the production of food was greatly increased. Government was indirectly forcing more people to flee to Taiwan. 十年始克復先基.—Shi nian shi ke fu xian ji. It required a decade of hard work to build up the foundation. Determined to stay and develope this land. Gui Wang Zhu Youlang (桂王朱由榔), the last Emperor of the Ming Dynasty. 送給對巷趙大哥.–Song gei dui xiang Zhao da ge. To give it to the Elder brother Zhao who lives opposite. Zhu meant the Ming Royal family. I have no face to see the anecestor!”. He put his two hands on his face. He collapsed and died, aged 38 years. He did not realize his dream of restoring the Ming Dynasty. Taiwan. If it were not of him Taiwan would have become a part of Indonesia. more than 350 years before they were being expelled by the Japanese in 1942AD. which was romanized by the Dutch. the title of Guoxingye (國姓爺) meaning ” The lord of the royal surname”. to her on the place where he and his troops had landed. it “Straw Shoes Mound). In Keelung there is a Xiandong 仙洞 or Fairy Cave. People believe that rice flowed out of the cave to feed Koxinga’s army. like his father and grandfather and travel to Mecca by sea. the young butler of Zhu Di (朱棣), the fourth son of Zhu Yuanzhang. province (福建省) during the period of Song Dynasty (宋朝 960AD to 1279AD). genealogy and many others subjects. There are references to the Chang Ah Gett family. Need to get a copy of this book and article. Tin Yuke Char also got a book ‘Chinese historic sites and pioneer families of Kauai. THere are Ching’s and Chang’s here. Aunty May Blossom Chang Wilkinson mentions that Chang Ah Gett had a sister and he came from Kauai. Need to discover and research more of this. Ching’s, is the last name of E.K. Wung’s wife Alicia (Ching) Mother of Jean Wung Chang. The Ching’s came from Kauai. Where’s the rest of this book?